​On October 3rd, 2018, CommUnity Zone, Caring Choices, Bucknell University, Evangelical Community Hospital and, Geisinger Hospital will come together to share a documentary that helps the discussion about end of life planning. We want to help that conversation continue beyond our time together with this documentary. Caring Choices is a great organization that is trying to help focus on healthcare and end of life conversations. We have received a great resource that will help have this conversation with yourself and the people you care about. It's called "Elephant in the Room" which is an aptly named resource. It is structured with discussion cards around four categories related to end of life care. 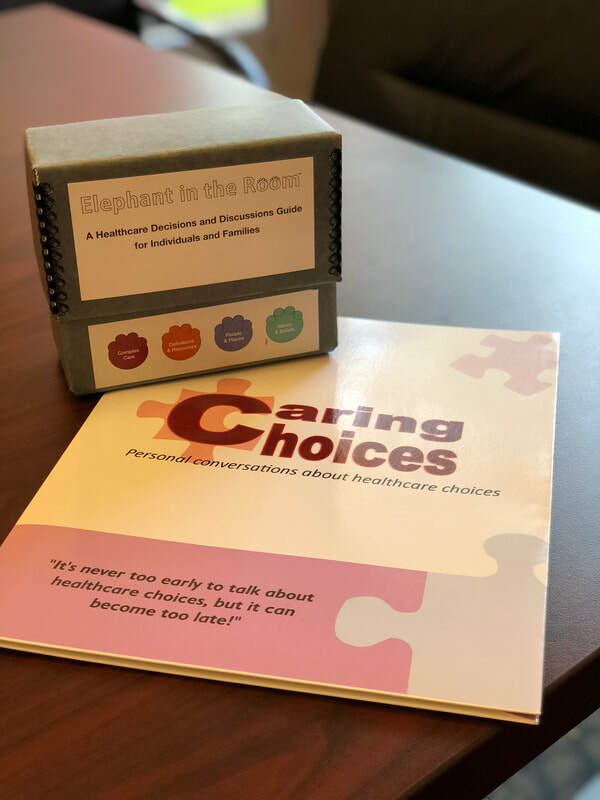 Complex Care, Definitions & Resources, People & Places, and Values & Beliefs and in each category is a wide assort of questions to help foster healthy conversation around this topic! We have one copy of this resource and it is available to anyone who is interested!